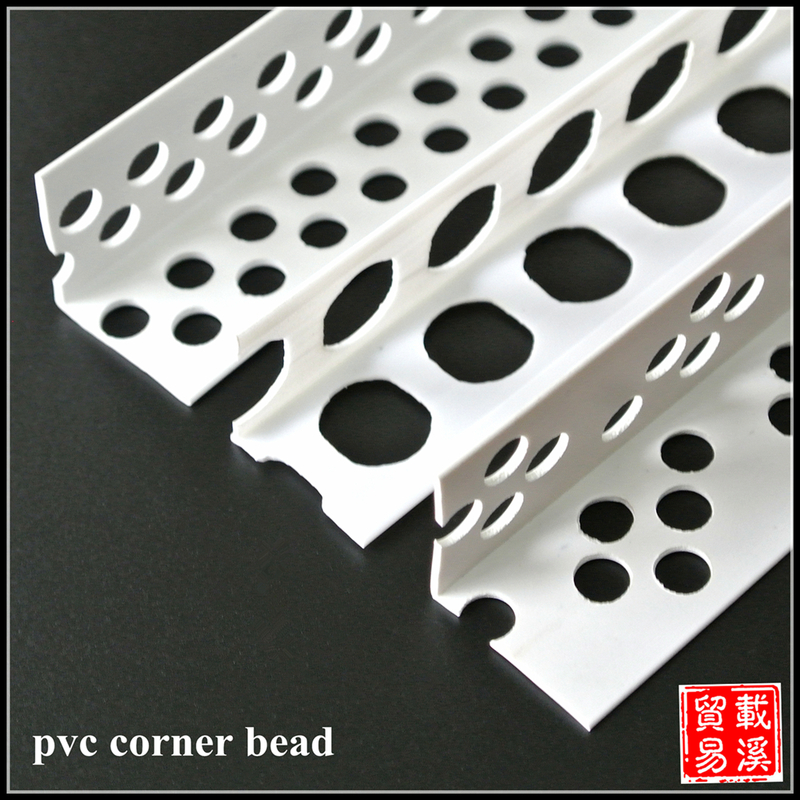 PVC Corner Bead (also called mesh Corner Bead, wall Corner Beam, plastic corner angle guard, pvc corner beam, pvc Arch Bead,Corner Guard) is a kind of plastic decoration material widely used nowadays. We make it by plastic extrusion machine and then punch it with different hole patterns. With this product, we can protect our wall corner. We just need to put it onto the wall corner with putty and get a well protected and straight wall angle. It has very good anti acid and alkali property so it will provide a long time protection to the wall coner. Various specification is availble, logo print service is free! 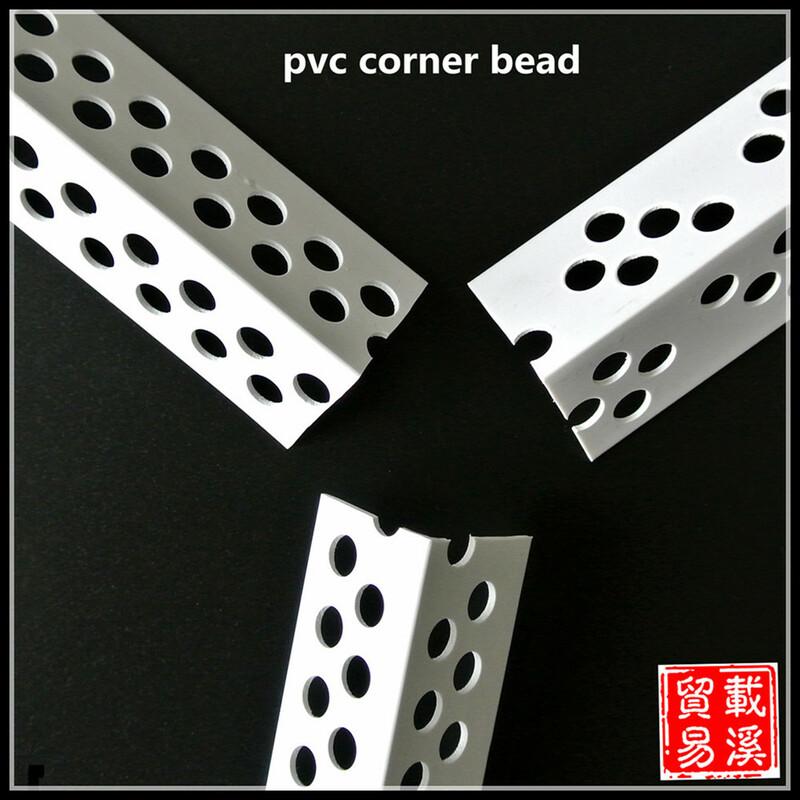 We have regular specification of plastering bead product, and also we can make it to order owing to different customers' requirement. Length, thickness and bead width size is various. 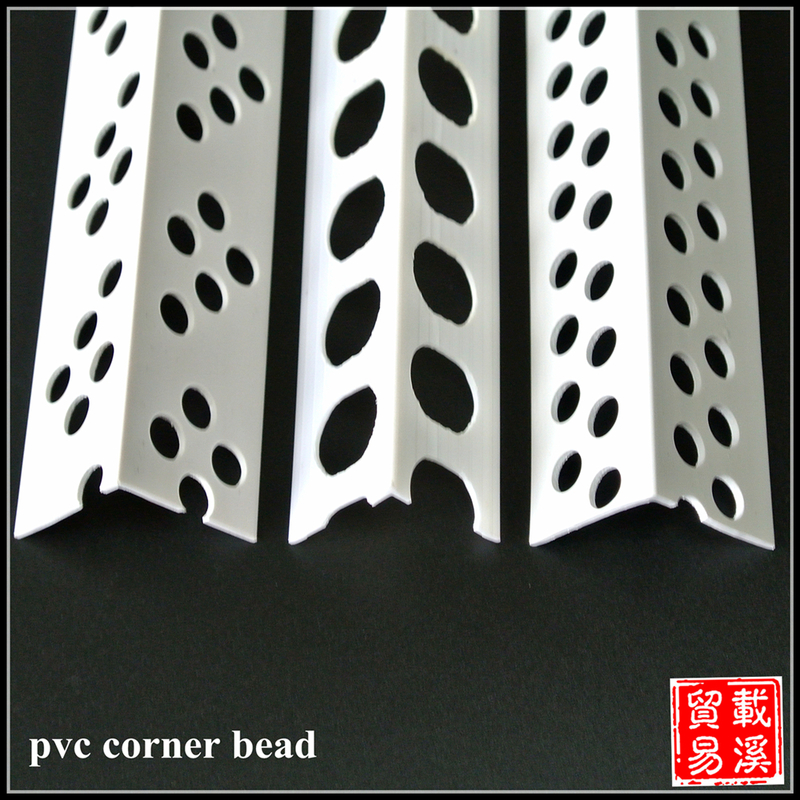 PVC corner bead is a kind of popular building material or decoration material in recent years. It`s designed to protect the wall corner with good performance. We have a pvc building materials product factory with 8 years history. 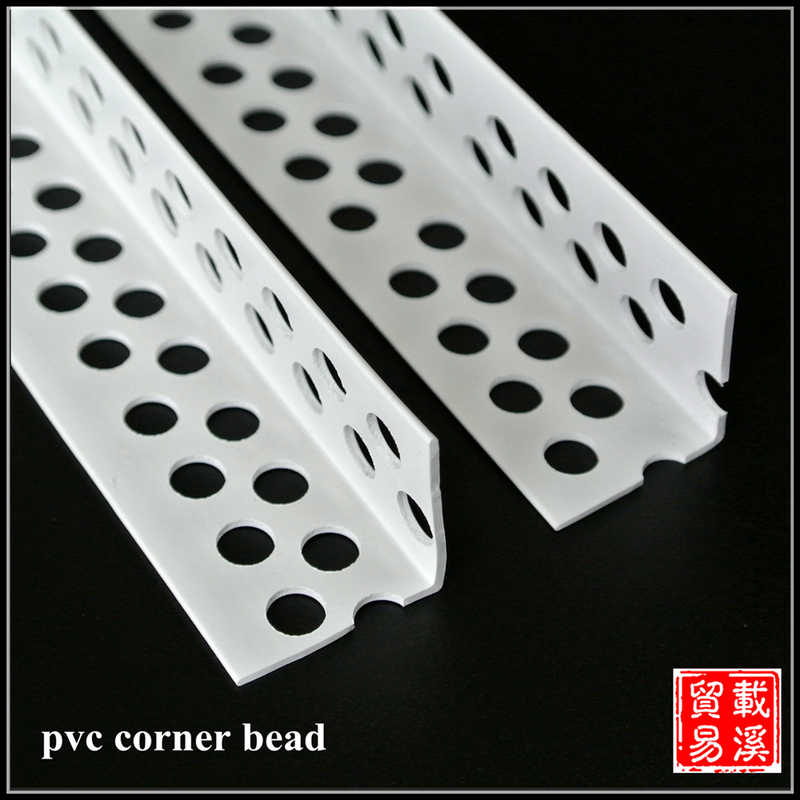 Now we have 2 production lines for pvc corner bead and 3 production lines for coner mesh series. For oversea orders, we can offer special service such as logo print and customized specification. Just tell us your requirement and let us do the rest!